I want to get into the effects editor that came with Cod4 and was wondering if anyone knew any good resources for that. Also if I made a cool custom effect that you guys thought was cool. Would it be possible to put it into obscurity? Or does this fall into the "No.. it's our work" or the "Xmodel limit/ something equally limiting" categories? Thanks! 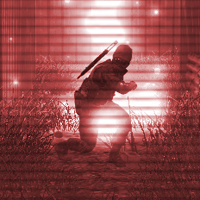 As for help with how it works, the way I learnt how to use the effects editor was to open up an existing effect and edit away, then I opened a weapon file and referenced the effect I made under the muzzle flash or some other effects spot. I'm not too technical with my explainations, I know, but thats basically how I learnt it. If you want to add new images or effects you will need the NVIDEA DDS Photoshop plugin or some other plugin and export your images from there using dds5 or something. You will also need to create material files to reference those images you make etc. Its easier to just play with the effects they provide to create new ones, saves file sizes of mods and time. Thanks ^.^ I appreciate the help! And yeah I don't want to step on any toes =P Anywho, was just wonderin. Thanks a bunch!